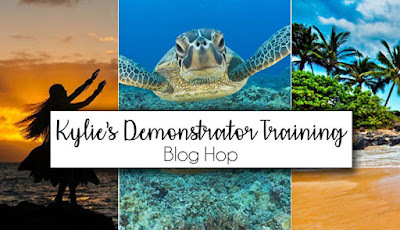 It is my pleasure to participate in Kylie Bertucci's April 2019 Blog Hop for those of us in her Demonstrator Training group. Kylie is a top Stampin' Up! 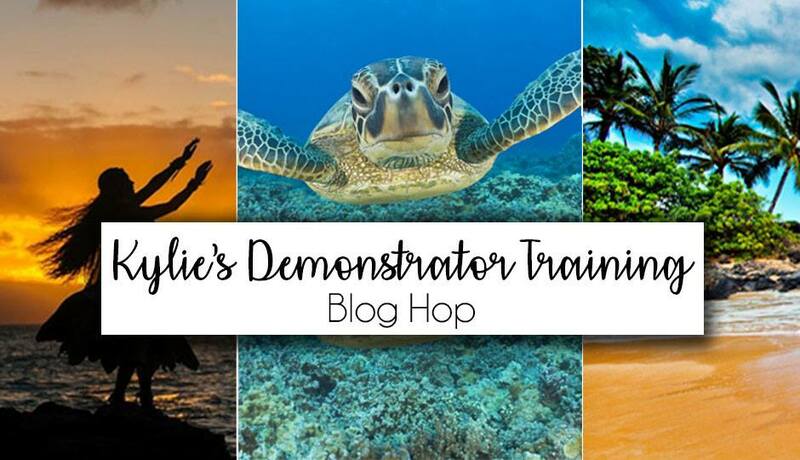 demonstrator in Australia and offers training worldwide. She, along with her husband, Bruno, bring a wealth of knowledge to demonstrators in a fun and playful manner! For this hop, Kylie had no particular theme, so for this blog I thought I would finish a card from my stash. It is always nice to finish work on your craft desk! I often make 2 or 3 of the same image so that I can 1) practice my coloring 2) change up my colors 3) cut the image into sections, etc. to find the most pleasing layout. Usually by the last image I am most happy with my work. I started with the background stamp "Sheet Music" and heat embossed it with "Copper Embossing Powder" on "Shimmery White" card stock. I then wet the paper and ink-blended 3 yellows with re-inkers: Pineapple Punch, Daffodil Delight and Mango Melody. I wanted to tone the background down a bit, so I created a window panel with "Vellum" and "Whisper White" card stock. The Whisper White was cut with 2 "Rectangle Stitched Framelits" to form a frame to which I could adhere the vellum on the back. I used "Tombow Liquid Adhesive" as the adhesive of choice for the entire card. The rose itself was stamped with "Versamark Ink", heat embossed with "Copper Embossing Powder", colored with the same re-inkers (and a bit of "Real Red"), too and then fussy cut. After prepping the window with the "Embossing Buddy", I stamped the sentiment from the "Picture Perfect Birthday" set with "Versamark Ink" and sprinkled with "White Embossing Powder." To heat set on vellum, be sure to warm up your "Heat Tool" for about 30 seconds and do not hold it directly to the vellum. Keep the heat moving, front and back, side to side, move it on and off the paper and the vellum will not warp. A few "Rhinestones" finished off the card.